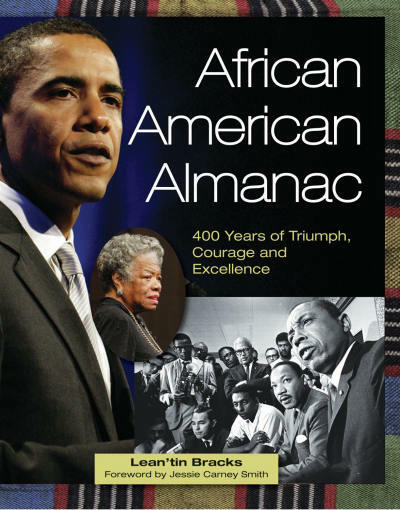 African American Almanac - "The most complete and affordable single-volume reference of African American culture available today, this almanac is a unique and valuable resource devoted to illustrating and demystifying the moving, difficult, and often lost history of black life in America. A legacy of pride, struggle, and triumph spanning more than 400 years is presented through a fascinating mix of biographies-including 500 influential figures-little-known or misunderstood historical facts, enlightening essays on significant legislation and movements, and 150 rare photographs and illustrations." "The most complete and affordable single-volume reference of African American culture available today,..."